This arrived in the post today. I think I have a problem. 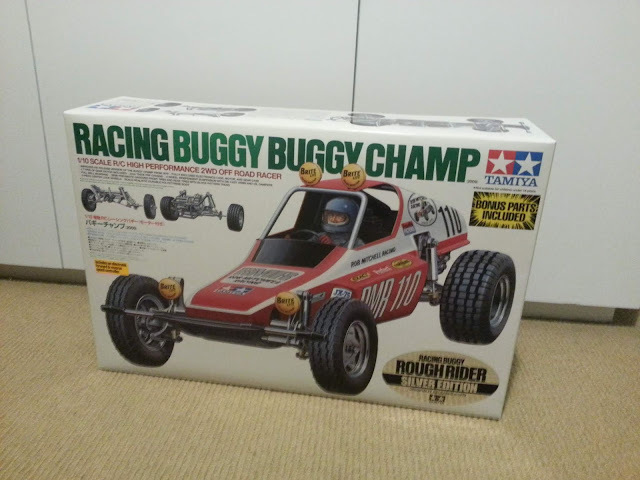 It's a 1/10 scale Tamiya Super Champ, the re-release of the original 1970s SRB Rough Rider. I'll just add it to the RC Hornet that arrived a week or two ago. So, ummm, just asking on behalf of a friend: when do you know you have a new addiction? That damn Tamiya Sand Scorcher - it's a gateway drug. It's a fun hobby, and yes, very addictive! 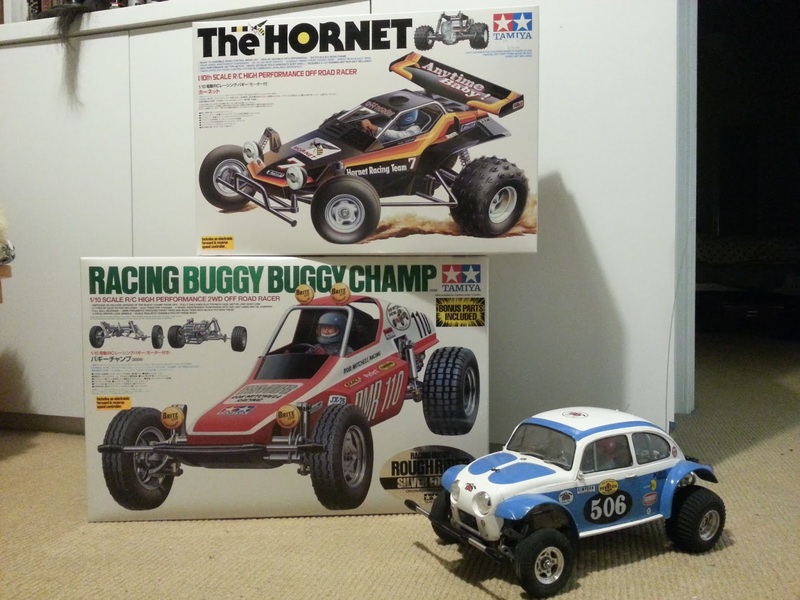 I flew radio controlled model airplanes for 28 years, before returning to my first love, scale plastic models. Thanks Ken. I see the RC as more like playing around than serious modelling, but it’s fun and relaxing, so it’s all good!